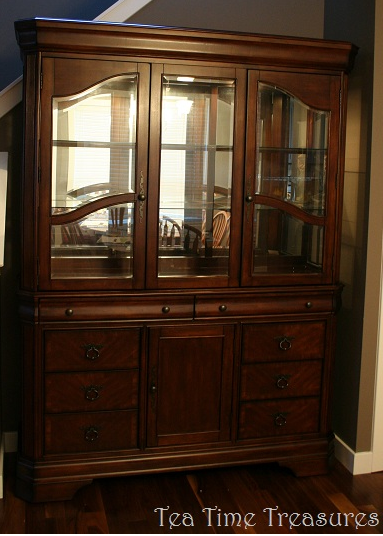 After a l-o-n-g wait, my china cabinet finally arrived! I ordered it on Boxing Day, and it came this week! While I had some of my china out, I was excited to open the boxes of china that had been in storage. It was fun to spread out my tea time treasures on the counter and figure out how to arrange everything in the cabinet!